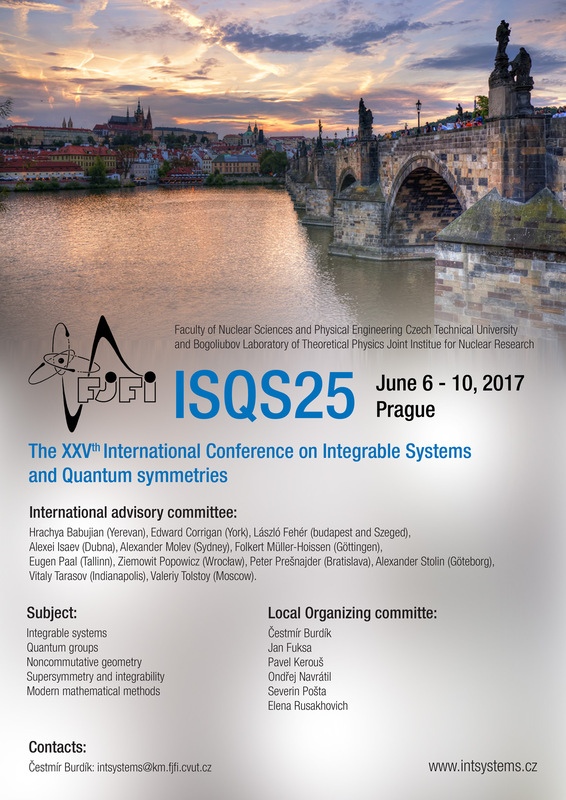 25th International Conference Integrable Systems and Quantum symmetries (ISQS-25) is organized by the Department of Mathematics, FNSPE CTU in Prague and the Bogoliubov Laboratory of Theoretical Physics of the JINR. The XXVth International Conference on Integrable Systems is one of a series of annual meetings held at the Czech Technical University since 1992 and is devoted to problems of mathematical physics related to the theory of integrable systems, quantum groups and quantum symmetries. During the last 3 years each of the conferences gathered each year around 100 scientists from all over the world. Plenary lectures and contributions presented at these conferences were published in the journal Czechoslovak Journal of Physics.